This magnificent publications covers the history of the club, with contributions from a list of great writers including the legendary Hunter Davies. Weighing in at 37 kilos and 850 pages long, each half metre square. Over 400,000 words and over 2,000 images, each individually varnished. The Opus is leather bound and comes in a stunning presentation clamshell. 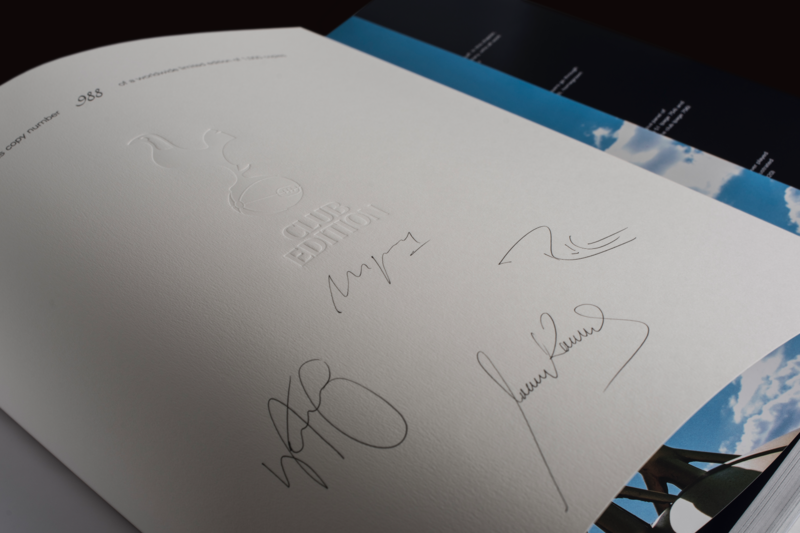 An incredibly rare copy of the limited Tottenham Hotspur Legends signature page. 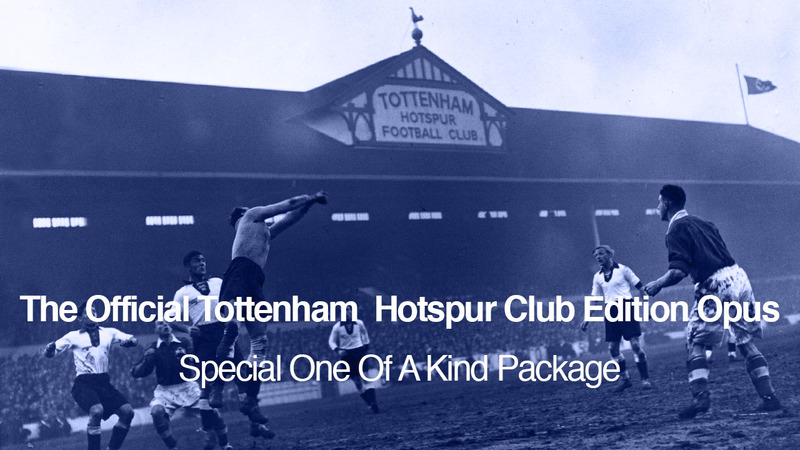 Personally Signed by Ledley King, former manager Martin Jol, Juande Ramos and Robbie Keane. This special edition inclues two unique signature cards, one from signed by squad players from 2016/2017 season and another signed by Harry Kane. 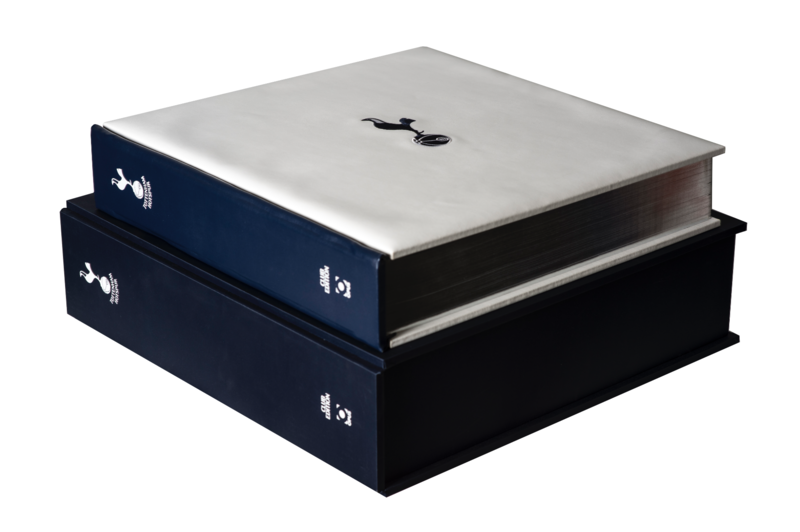 This special one off edition includes a choice of six Tottenham 20 x 24 inch Polaroid Collection consisting of 8 Polaroid photo prints of Spurs legends. The collection includes Aaron Lennon, Clive Allen, Dave MacKay, Dimitar Berbatov, Gareth Bale, Jermain Defoe, Ledley King, Terry Dyson.